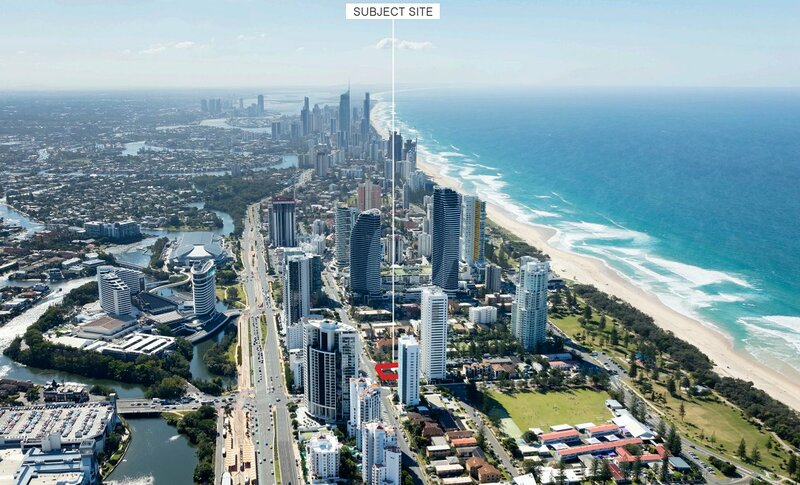 A new skyscraper in Gold Coast's Broadbeach is expecting 61 apartments within a sleek 41 storey form. Developer Bassar Group is backing the high end, low density residential project at 22 George Avenue and 33 Surf Parade. Dubbed Infinity Tower, the development will in time be pitted against a host of similarly placed apartment projects in the area that are chasing luxury buyers. A sample of Broadbeach projects from the Urban.com.au Project Database reflects the low density configurations of a number of apartment towers that are exclusively chasing well heeled purchasers. Projects under construction such as Vue Broadbeach and Elysian maintain on average no more than two apartments per floor. 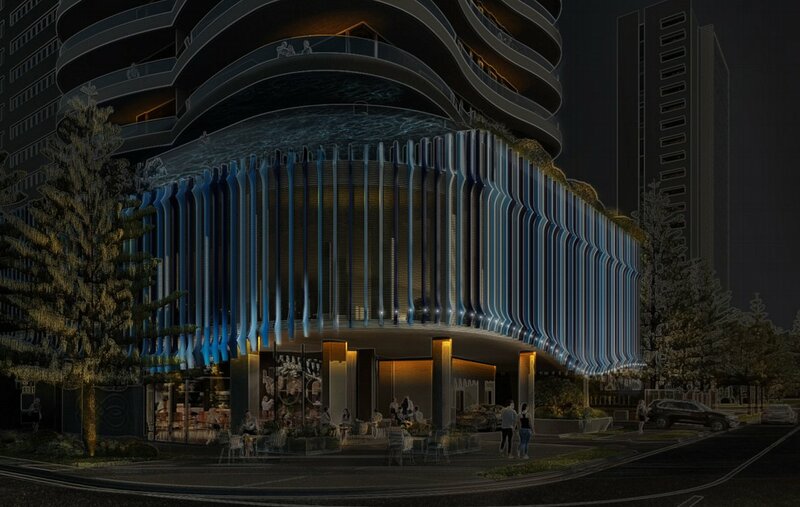 Earlier this year an application for 2 Charles Avenue emerged which seeks to push the envelope for luxury living in Broadbeach. Christened Class Broadbeach the Charles Avenue location is slated for a 54 storey tower holding only 46 apartments, including 34 full floor three bedroom apartments, five two storey sky homes and a three storey penthouse. Conversely Infinity Tower is expecting a mix of two, three, four and six bedroom dwellings. Bassar Group took the application to planning in recent days, hoping to convert the 1,012 square metre corner site into a skyscraper of distinction. Currently the property includes two villas and three units. 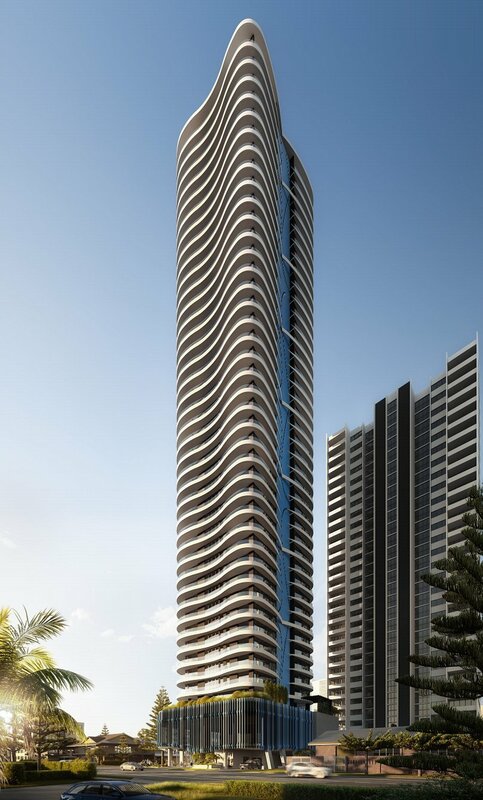 The building's form has led to the moniker Infinity Tower, with BDA Architecture employing a curvilinear form above a podium and describing it as an "exciting fluid tower that will be an iconic defining development to energise this precinct of Broadbeach. The proposed project name is ‘Infinity’ and essentially the tower’s plan shape acknowledges the symbol for infinity – integrating the symbol twice to achieve the tower form. Spatially this curvilinear shape wraps the rectangular apartment structure." Oversized apartments aside, prospective future residents can expect a full podium level devoted to amenities, as is a section of the skyscraper's roof level. A point of difference over the tower is an external lighting system that will illuminate the podium and backlight the coloured horizontal fins on the south side of the tower, "ensuring the towers presence in the skyline at night."